Plants are 1-2 feet in height. 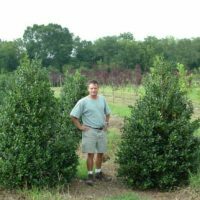 Magnolia grandiflora (also called Bull Bay) is a very tough broadleaf evergreen. Its lustrous dark green leaves have a warm, orangish brown pubescence underside that keeps its color in even the most trying of weather conditions. Southern Magnolia have beautiful blooms that come in the Spring and Summer months. These wonderful flowers can be as large as 12 inches across and have an exquisite citrus scent that attract bees and butterflies. Given its robust nature, it is interesting to note that the Magnolia genus originally developed fibrous flowers and leaves to aid in pollination by beetle, long before the appearance of bees. 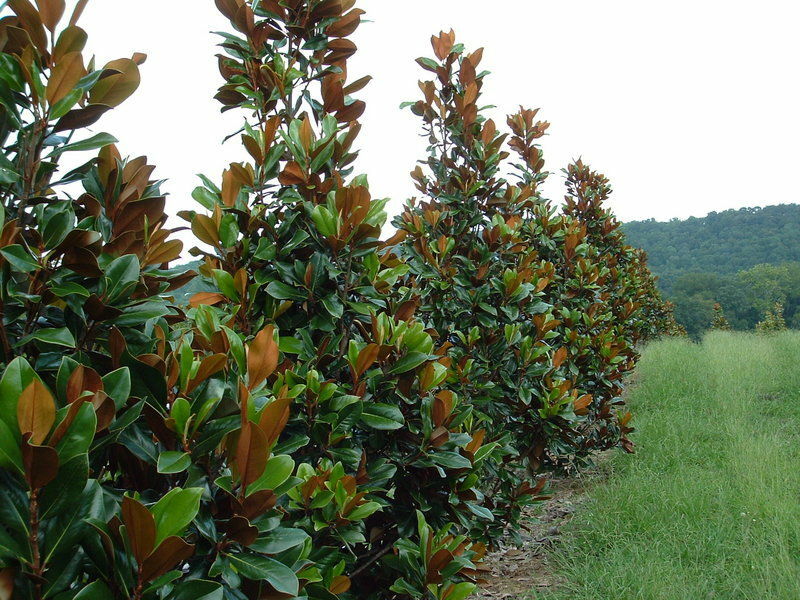 Southern Magnolia is great for wet areas and remains a good urban tree. It is native to the southeastern United States and has been successfully grown as far north as British Columbia in the Western US and Columbus, Ohio in the Eastern US. 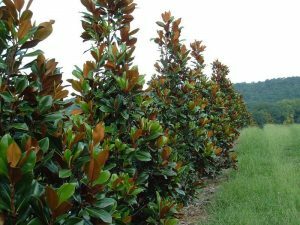 Southern Magnolia is easy to transplant and is an upright grower that is pyramidal in shape. More planting instruction can also be found at boydnursery.net/planting/. Leaves: Leaves alternate and are simple, evergreen, elliptic, and 5 to 10″ long and less than half as wide. 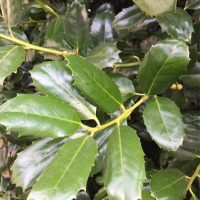 Leaves are dark green above, lighter green below and often ferrugineous-pubescent beneath. Leaves are messy and never seem to decompose, drop in spring and fall. Hardiness: Zone 6(7) to 9, supposedly the brown back type is hardier than the green form but no quantitative evidence supports this. For an idea of your plant zone please visit the USDA Plant Hardiness Zone Map. 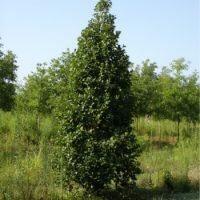 Habit: Densely pyramidal, low-branching, stately evergreen tree; generally distinctly columnar-pyramidal but some trees become as wide as tall. Rate: Slow to medium; with water and fertilizer a fast grower. Flowers: Perfect, creamy white, beautifully fragrant (better than the best perfume), 8 to 12″ in diameter, solitary, in May-June, sporadically there-after, usually with 6 petals, each petal thick, concave, broadly obovate and 4 to 6″ long; may take as long as 15 to 20 years for trees to flower which have been grown from seed; the literature is so full of burbles that one does not often know who or what to believe. Diseases & Insects: Essentially problem free. Soil Preference: Soil should be rich, porous, acidulous and well drained. Tolerates high soil moisture levels, but does not tolerate inundation. Care: Water regularly after initial planting and prune as necessary to maintain form and desired shape.